Hey Everyone! Expanded testing has been a lot of fun for me as it is my favorite format. There are so many viable decks, and a lot of news one surfacing due to Hex’s ban. This means that a lot of ability based decks will be resurfacing now that they no longer have to answer to the threat of ability lock. What could be the best way to beat an ability based meta? Play ability lock. It just so happens that Zoroark-GX decks can just play Garbodor and use it just like they would use Hex Maniac. One may even say that with Garbotoxin it is even easier to consistently hit the lock since we no longer have to use our supporter on Hex Maniac. While this isn’t 100% true, it still holds merit and is a reason the deck is extremely powerful. A lot of people thought that the power of Zoroark-GX came from its ability to stream Hex Maniac, but really, its lightning fast set up and consistency came from being able to propagate Exeggcute and essentially have free Ultra Balls and Trades. This theoretically allows you to play with way more cards than you should over the course of a game which provides a lot of value. With that, let’s get right into the deck. 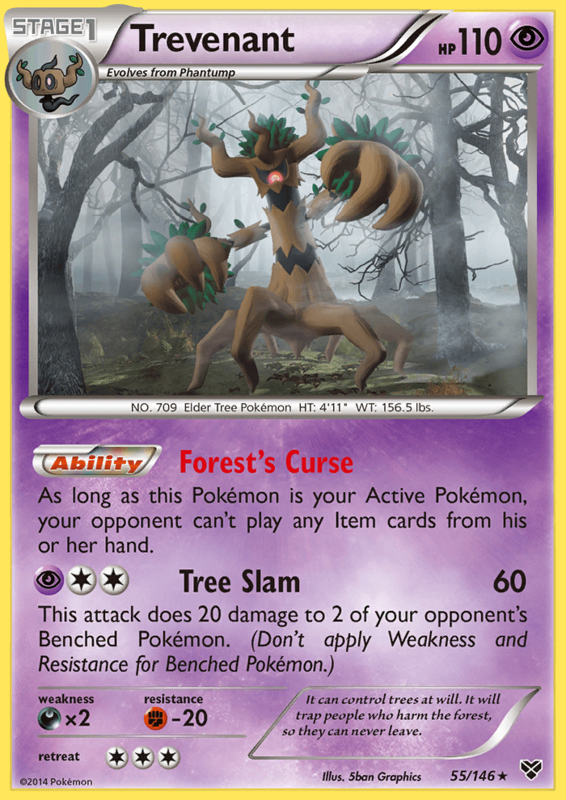 The main idea behind this deck is that we can use Garbotoxin to get through Sudowoodo’s Roadblock to have an 8 bench Riotous Beating on Zoroark-GX for 210 damage. At the same time, we are ability locking our opponent. We use a temporary ability lock by attaching a temporary tool to Garbodor between Klefki and Bursting Balloon. This way, we apply a ton of pressure to our opponents to have to deal with the high damage out put, consistency of set up, and ability lock at once. What Happened to Red Card? You may be asking, “Isaiah, Red Card was so powerful last format, why shouldn’t we still include it?” Well, in my testing, I have found that the disruptive power that Red Card, Garbotoxin provides is just not as concrete and reliable as Red Card, Hex Maniac was. To break the lock, our opponent needs to find a VS Seeker for a Colress (as most decks play now a days) or a Field Blower to use their abilities. With Field Blower being an additional out to just completely removing the lock, the Red Cards just do not stick as often as they used to. We also lose value with Red Card now that we do not have Ghetsis to combo with it anymore. Given the diminishing returns of playing Red Card in this Hexless Meta, I have opted to drop Red Card in favor of consistency. In a Zoroark meta such as the one we should likely be facing going into Portland, Stand In Zoroark is a must have. He is the only feasible comeback card that exist in the mirror match given how oppressive Ability lock is in combination with OHKOs. With Stand In Zoroark, you are able respond to the OHKO with a single prize attacker that just takes a DCE for the return KO. Given the two rescue stretchers, you could easily set up a 2nd Stand In Zoroark to take another OHKO from that Position. You may notice we do not play Sudowoodo, and that is intentional. If we forego playing Sudowoodo, then we can capitalize on the first time our opponent fills up their bench to 8. Once this happens then they are stuck at having 8 bench Pokémon unless they Field Blower their own Stadium. This means we can stream Mind Jacks against their Zoroark-GXes. When I first started testing this deck, I was really liking 3 Shaymin-EX and 1 Tapu Lele-GX. While the 3/1 split allows for much more explosive openings, it also makes your deck a bit more fragile. As people discovered that Zoroark-GX was still at the top of the Expanded Meta, I saw more and more people playing Sudowoodo. When this is the case, you need Tapu Lele-GX in your deck as a reliable and consistent way to get your Zoruas down turn 1 and Colress on turn 2. The deck is still be insanely explosive with just 2 Shaymin-EX, you just can’t completely rely on his ability to get you to what you need every time. When your opponent has Sudowoodo in play, you would not be able to rely on Shaymin-EX at all. With this split you have an optimal amount of explosiveness and safety in setting up. Klefki is a great addition to the deck for many reasons. It fills the same niche as Bursting Balloon does, being a temporary tool for Garbotoxin. It has the added benefit of being searchable with Ultra Ball, Level Ball, and Pokémon Communication which can be really important when you need to find all the pieces for an OHKO on turn 2. Klefki also allows Rescue Stretcher to be an out to the temporary tool you need for Garbotoxin, effectively giving you two free tools through your 2 Rescue Stretcher. Klefki also gives you such an advantage against specific item lock based decks that use abilities, like Trevenant or Toad/ Seviper. You can use Klefki under item lock and attach it to activate Garbotoxin. This clever play could easily be the difference between winning and losing the match if activated on a crucial turn. I put these two cards together even though they serve a purpose separately just because I use them in combination so often. Seismetoad-EX is actually such an amazing card in this deck because at any time, you can just turn into an item-lock and ability-lock deck. When you use Quaking Punch with Garbotoxin, often your opponent can do nothing in their following turn if they were not prepared. You can set up easy two shots by leading with Quaking Punch and then Acerola into a Zoroark-GX for KO. Playing these cards essentially just add more options to your deck, allowing you to respond to more situations and outplay your opponents. I highly recommend keeping these in your list and I will go into matchup specifics in the matchup section. Look specifically at the Mirror and BuzzRoc sections. This is probably a strange combination of cards to have listed together, but they are here together because they all serve similar purposes. They allow you to counter your opponents disruption, and in high counts, we can do this consistently. Now that we no longer have Puzzle of Time, we must be very careful with our resources. A smart opponent will focus on the resource they know you have least of and try to beat you with that approach. We need Skyfield when our opponent plays Parallel City or Silent Lab. We need Field Blower when our opponent attaches a tool to Garbador. We need Rescue Stretcher to streamline Zoroark-GX and Pokémon in general to take OHKOs with an 8 Pokémon bench. If we keep our lists consistent and keep the high counts of these cards, then we never can be Garbotoxin, N, Paralleled out of the game because we will always have the resources we need. This supporter count allows you to be extremely explosive with the consistent 2nd turn Colress while still being able to be disruptive with a Garbotoxin, N. N also is a safety supporter in that it is a reliable shuffle, draw 6 in your first few turns. The high Colress counts are what give this deck its insane consistency and explosiveness. The Level Ball is very nice in the deck and adds a small bit of consistency that fits in very well. It is able to search out Zorua, Eggxecute, and Klefki. Sometimes, with the right hand, we actually do not want to play Brigette for our first turn because we already have the basics we need from drawing into the Level Ball. We then can be greedy, and Colress on our first turn for a very strong turn 1. Think of this much like how we play Lillie in our current Standard and are still able to set up consistently. When you consider the fact that we can use Shaymin-EX on our first turn twice as well, then it doesn’t seem to crazy to be able to find the Zoruas without actually playing Brigette. We still do have the 1 Brigette as a reliable way to find the Zoruas. When we are under Sudowoodo’s Roadblock we are heavily reliant on Brigette for a strong set up. If you feel as if you will constantly be under Roadblock then I might recommend cutting the Level Ball for a 2nd Brigette. Since our recent ban of Puzzle of Time, Dowsing Machine has acted as a replacement for card recovery in Zoroark decks. We have eggs to propagate, so we can conserve our hand resources and reach for a longer turn early or just save the Dowsing Machine to grab back a resource later. This card is a very meta reliant addition that I feel will be useful going into the Portland Meta. Ranger provides so much value against multiple different matchups. It allows you to get through Seismitoad- EX’s quaking punch, Giratina-EX’s Chaos Wheel, and Greninja’s Shadow Stitching. In an unfamiliar meta, one should be prepared for anything. This card is just too worth it. I will be honest, this matchup is pretty toxic (no pun intended). I have put our list slightly favored given our high counts of Field Blower and Rescue Stretcher as well as the additions of Seismitoad-EX, Pokémon Ranger, and Mind Jack Zoroark. You want to actually take this matchup a bit slower and set up the responses to their OHKOs. You can do this easily with a Mind Jack Zoroark because your opponent will have to play a large bench. You want to do this and respond with an N so that their hand is too poor to do something like blower the Sky Field or Guzma KO you. You can then continue the pressure by playing Rescue Stretcher for a 2nd Mind Jack Zoroark to continue OHKOing your opponents Zoroark- GX. 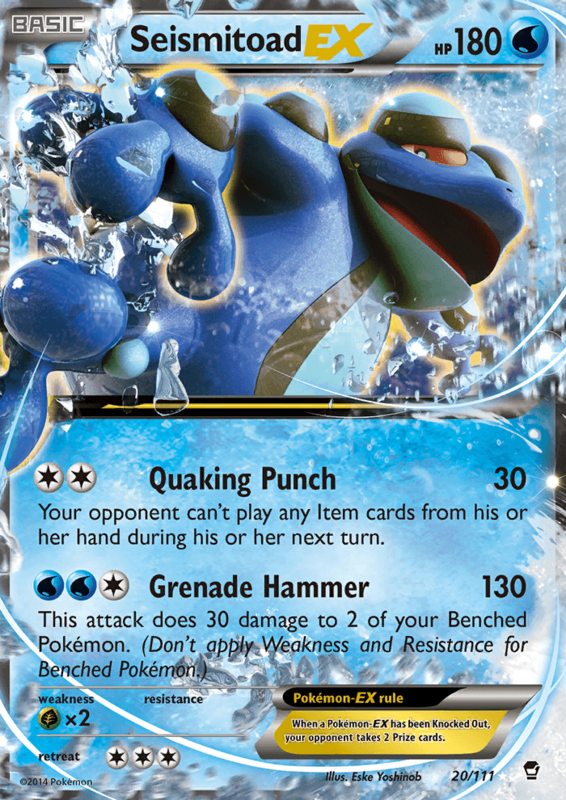 Keep in mind that you can prevent your opponent from being able to Garbotoxin you on their next turn with a well timed Quaking Punch. They also cannot Field Blower your own Garbador’s tool so the Item lock and Ability lock will guaranteed stick. Also, keep your Pokémon Ranger in your hand/deck so that if your opponent tries to pull this strategy against you then you have the response. I have often heard people discuss how this matchup is very favored for Trevenant now that Zoroark decks lost their Puzzle of Time. The thing is that as long as you stagger your basics correctly you will almost always beat Trevenant. Just have 1 Zorua in the active and pass. What is the Trevenant player going to do against that? Silent fear the Zorua for 30? You can just take the game slowly, establish your board state, and make sure your special charge and dowsing machine are efficiently used to get DCE back. You also have Acerola when the damage starts to add up on a single Zoroark-GX. Just never let them kill more than 1 Zoroark-GX when they attack with Espeon-EX and take 6 prize cards. Very easy. This is a very close matchup. You can often just lock them out of the game with your explosive pressure on the second turn with Garbotoxin in combination with an OHKO on their active. You can also make very clever plays to guarantee that they cannot Beast Ring with a well-timed Quaking Punch. Then you can Guzma around their Sledgehammer to take another GX KO and skip Beast Ring all together. Be weary about benching eggs because they are a free Prize card for Buzzwole players. Because of our very high count of Stadium and Field Blowers, this match up has become quite easy. Every time our opponent attempts to Garbotoxin with N, we have multiple outs to break their lock. From their we just take OHKOs on all of their GX Pokémon to quickly win the game. If you set up decently, you can easily avoid playing item cards at all by propagating and exeggcute and discarding that with trade. Save your resources to recover from Parallel City and Righteous Edge, and you should be fine. You should win this matchup quite frequently if you take the early game slow and just reach a point where you can take the OHKO on your opponent’s active Zoroark-GX without having very many items in the discard. Once this happens, your opponent cannot respond and you can just take over the game. The key is patience because the only way your opponent can win is if they can sweep with Trashalanche. You have very high Field Blower counts so Garbotoxin does not serve too much of a problem for you. This matchup is surprisingly quite difficult because your opponent can use Muk to eliminate your Exeggcute’s propagation ability. At that point, you are essentially playing the exact same game except your opponent gets to decide when this occurs. This gives them the slight edge in taking 6 prize cards first. Really though, if you are able to get the Garbotoxin out quickly and OHKO their Pokémon, you should be able to easily win. Well that is all I have for you guys! Thank you so much for reading through my article, and I hope I have convinced you of its power as an archetype in our current meta. Right now, I am still trying to figure out what to play for Portland Regionals, but this is tied with ZoroGarb including Trashalanche as my choice. I think the deck is very powerful and can easily sweep through the Swiss rounds. Feel free to come to me with any questions or comments if you see me at Portland Regionals. I love spreading my opinions on decks and card choices. Until next time, good luck at Portland Regionals and good luck at any future tournaments!